Three men with guns, wearing mask, are on the run after shooting a store clerk during a robbery on Main Street. HOUSTON — Three men are on the run after a deadly robbery at a convenience store near NRG Park, Houston police say. The robbery and shooting happened shortly before midnight Monday in the 9200 block of Main. A trio of suspects went into the store wearing masks, according to Lt. Larry Crowson with the Houston Police Department. Investigators have released photos from surveillance cameras in the store. Three men are on the run after a deadly robbery at a convenience store near NRG Park, Houston police say. 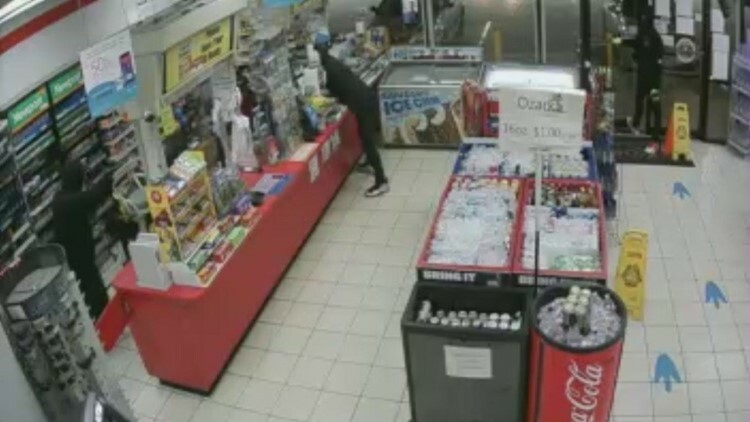 The robber shot the store clerk for unknown reasons before all three suspects fled. The clerk was taken to the hospital where he was pronounced dead. 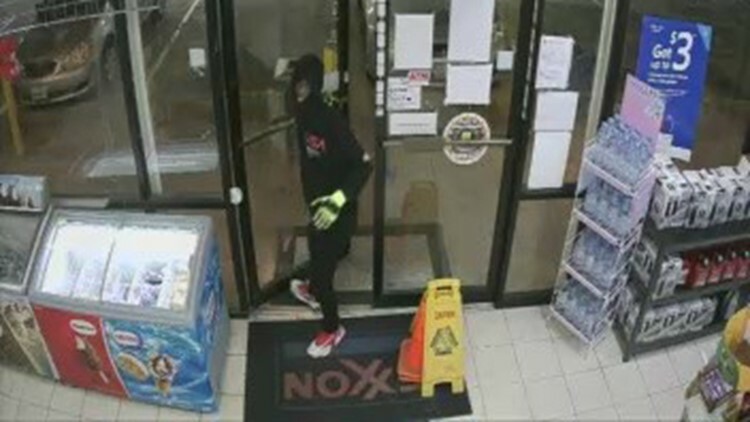 Police said the lookout can be described as a young black male wearing a black hoodie with a red "USA" emblem on the front left side of his chest.The two suspects who approached the service counter of the gas station were also wearing black hoodies. One of those two was wearing a white skeletal mask. Police believe the same suspects are responsible for another robbery at another store about an hour earlier. While on the way to the shooting scene, an HPD robbery investigator was involved in a car crash, just blocks from the scene. Police tell KHOU 11 News, thankfully no one was seriously injured in the wreck although the officer had a cut to his arm.